France wins the men's World Cup. Now France hosts a World Cup. MOSCOW — The "next" World Cup got plenty of hype in Russia. A massive cube was alight with video images of "Qatar 2022" in Gorky Park, while the ground floor of the high-end shopping mall at Red Square was devoted to displays touting the event. In the past several years since scandal enveloped soccer's governing body, FIFA has made a point of proclaiming that it aims to raise both the role of women in the organization and the profile of the women's game. President Gianni Infantino appointed Fatma Samoura as the first female secretary general of soccer's international governing body in 2016, while also announcing the creation of a women's soccer division. In the run-up to the last Women's World Cup in 2015, a group of international players, led by U.S. star Abby Wambach, protested because the tournament would be played on artificial turf, which is considered by many to be inferior to real grass. The men's tournament had always been played on grass. Two issues stand out. It remains to be seen how much prize money will be increased in 2019. The U.S. women took home $2 million in 2015. 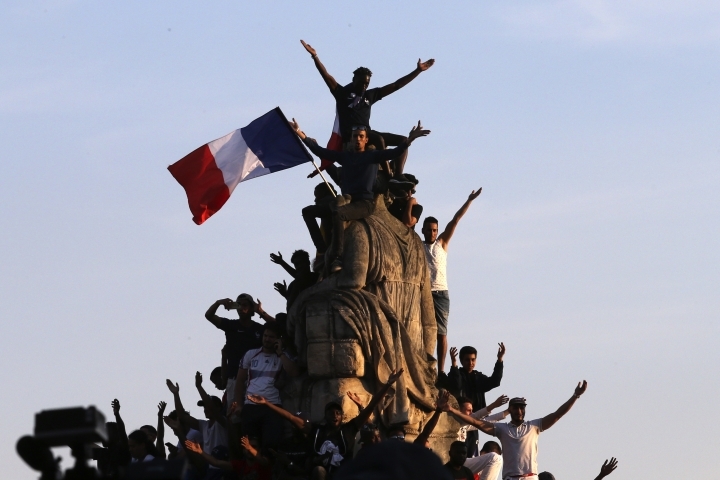 In contrast, France's men earned $38 million for their victory on Sunday. And there's no word yet whether video replay will be used just as it was for the men for the first time in Russia. U.S. women's coach Jill Ellis was in Moscow the final week of the tournament for an appearance on FOX, which has the domestic TV rights for 2019 France. She'd like to see an increase in prize money and the use of replay. "I don't know what the ramifications were in other countries, but you look at our own team, in our own country and the viewership and the attendance — there's no difference (with the men)," Ellis said. "So I think that FIFA 100 percent should look at our game as a game, not as a women's game or a men's game."